- CarPlay support added! Enjoy your favorite Desi radio station in your Apple CarPlay enabled car! You love listening to radio? 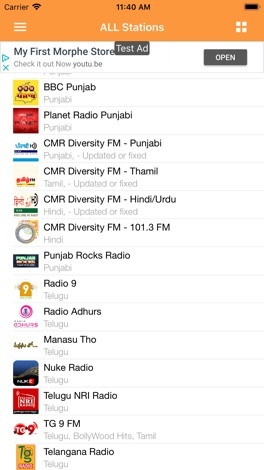 Explore your love for Desi or Indian music in your own language with our online radio app "Indian Desi RADIO Music". “Indian Desi RADIO Music” contains top hit Bollywood and traditional music brought to you from different states in India. 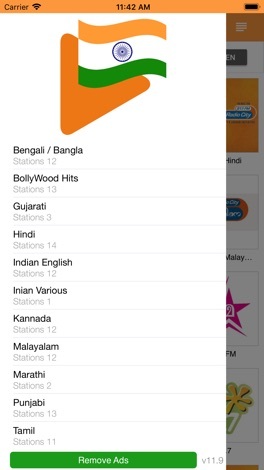 Whether you want to listen to radio in Hindi or any other regional language such as Gujarati, Bengali, just tune in to “Indian Desi RADIO Music” app. We support most languages that include - Hindi, Bollywood Hits, Telugu, Punjabi, Bengali, Marathi, Gujarati, Malayalam, Kannada, Urdu, Tamil etc. 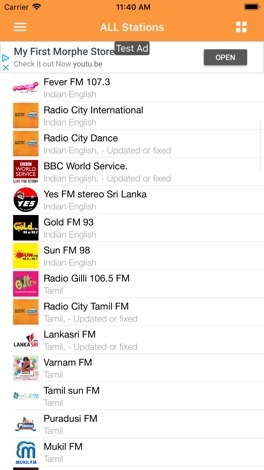 In addition to these, you can even find radio channels for devotional music, sports and news. You will find different music genres on our online radio app. 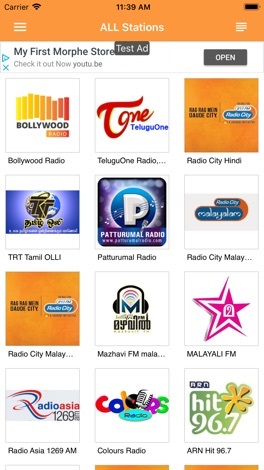 Whether you are a music artist, singer or just a music lover, you will absolutely enjoy listening to our music on our own “Indian Desi RADIO Music” app. This radio channel app has amazing user graphics and smooth controls to allow you to use this app with much ease. Share your love for music with your friends by sharing this app. 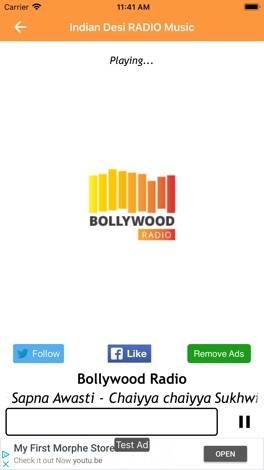 We are constantly working hard on making the “Indian Desi RADIO Music” app better and more useful for you. We need your constant support to get going. Please feel free to message us on Facebook or Twitter for any queries/suggestions/problems or if you just want to say hello. We would love to hear from you. If you have enjoyed any feature of the “Indian Desi RADIO Music” app, do not forget to rate us on play store and share among your friends who love music as much as you do. Mad Angry Frog:- You are a hungry frog and you have to eat as many flies as possible. But be careful and catch only the flies or the electric catch you! Agora você poderá fazer os seus pedidos online na Dann Pizzas direto do seu celular ou tablet! Faça o seu pedido online agora! Introducing an ALL NEW Solitaire game for iOS iPhone and iPad! Compatible with all version of iPhone and iPad! Sit back and RELAX while playing this Classic Solitaire Game! 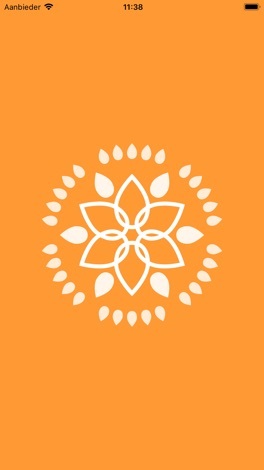 Features: - New Card Design! - Simple and Easy to Use! - Fun for Everyone! - 100% Free!